On November 9, 2011, the sixteenth ranked Arizona Wildcats committed 21 turnovers. They would win that basketball game, 67-59, despite their starting backcourt combining for 2 assists and 8 turnovers. Including guard efforts off the bench, the backcourt numbers balloon to 5 and 11. That was the last game TJ McConnell would lose in the McKale Center. He was a sophomore guard for the Duquesne Dukes and six months later he would transfer to the University of Arizona. Let’s begin by contextualizing McConnell within the annals of Arizona basketball and the state of current hoop. Saturday is his final game on his undefeated hardwood and while context may not be requisite to celebrate what McConnell has accomplished, it serves as great complement (and compliment) to what he has and will. The brevity of a college career, particularly one we’ve only known for two seasons, cannot be lost in the deep history of everything around it. Because since becoming a Wildcat, McConnell hasn’t lost much of anything. With games still to play, TJ McConnell has the highest win percentage over a two year stretch of any Arizona point guard. Ever. As refresher, Arizona basketball history includes guards like Kerr*, Stoudamire, Bibby*, Terry*, and Gardner (* indicates retired jersey). Already he’s won more games than any of them (I understand the changing landscape of scheduling and preseason events but winning remains the coolest statistic one can compile). With a sweep of the Bay schools, he will tie Steve Kerr for the best two-year conference mark by an Arizona point guard (in 1988 and 1989 there were two different point guards, Kerr then Kenny Lofton, who would go 17-1, each). Winning speaks volumes. In 2013, I spent a lot of time defending Mark Lyons. He won a few games. And when he ultimately lost, it was to Aaron Craft, the rose-cheeked point guard we hate because we’d love to have him. A regular middle school crush. And maybe that was fitting. 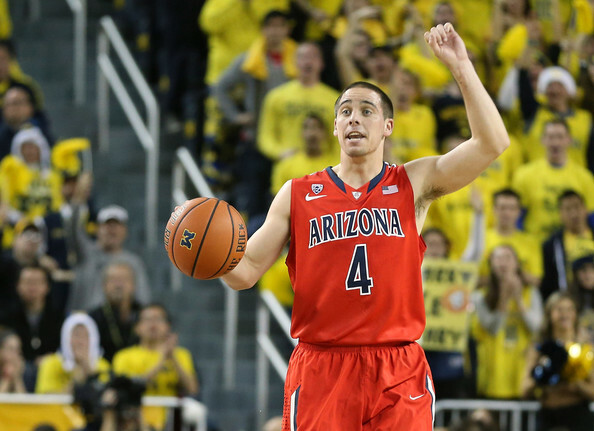 Arizona fans had been waiting for the next point guard in the Point Guard U dynasty. Because the few before weren’t Kerr, Bibby, Terry, or Gardner. Mark Lyons had a chip on his shoulder (Terry a smile on his face), Mustafa Shakur didn’t live up to the hype (Bibby won a title and POY), Nic Wise and Momo Jones never grew (Gardner was far bigger than his five-feet, ten-inches), and Josiah Turner (?). They aren’t pitchers or quarterbacks, but Arizona basketball seems to be judged on the play of its ball handlers. College basketball – as compared to other varietals of the game – is distinctly driven by leadership. There is a revolving door of players expected to exact the philosophies, principles, and strategies of a static figurehead. The leader who presumably isn’t going anywhere. In the case of Arizona, Sean Miller. For four seasons his point guards displayed increasingly different skillsets; none perhaps fitting the billing of ‘consummate’ – whatever that means. You see, Sean Miller is a former point guard himself, born to a Pittsburgh area coaching legend, he was seeking the extension of his will on the court. TJ McConnell is from Pittsburgh. He is the son of a Pittsburgh area basketball coach. He would become Sean Miller’s point guard. But what is a point guard? That consummate floor general and other platitudes about a position we quantify with assists? Does such even exist anymore? In all honesty, I’m not sure I can answer the question without diving into superlatives that depict a Duke Blue Devil. If I’m defining my point guard, it might be as simple as a guy who isn’t screwing up. Creating wins for his team no matter whether it’s through defense, passing, shooting, or leadership. TJ? He’s been an All-Conference defender and the head of back-to-back top-5 defenses. He’s led the conference in assists per game and assist rate. He’s shooting 55% and 42% from deep during conference play. And who knows how we can quantify the kid’s leadership. You can listen to what everyone else says about him. He’s the “head of the snake,” Larry Krystkowiak once noted. Did he make his team better? Arizona has improved its efficiency ranking every month this season. College basketball might not have many consummate point guards left. Earlier this week, Kevin Pangos was named the WCC’s Player of the Year. He averages 11 points, 3 rebounds, and 5 assists per game, numbers that hardly overwhelm. A stat line that resembles TJ McConnell’s. Why mention Pangos? The value of the position isn’t derived so much as understood. The WCC’s coaches saw Kevin Pangos do things to their teams that other players couldn’t do. Or perhaps that they wish their players did. Kevin Pangos wins. And so too has McConnell. Pac-12 coaches have watched him win more than 85% of games against them. TJ McConnell has won. Could he be the Pac-12’s Player of the Year? Maybe. We’ll know Monday. And in Tucson, TJ, neither will you. You grow up in Tucson and you learn that Sahuaro cacti grow only there and that Arizona basketball is good. You can’t become a cactus so we all wanted to be on the McKale floor, taking orders from the Silver Fox and competing for titles. Months before my Bar Mitzvah, all I wanted to do was mess Lute Olson’s hair like Bennett Davidson. But for a slow footed, leaping challenged kid, it was never going to happen. 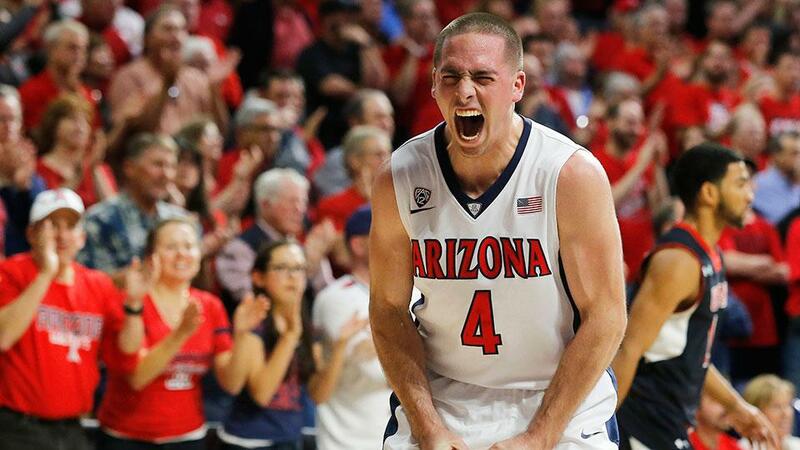 That dream – the local boy donning an Arizona basketball jersey – has been limited. Sean Elliott was clearly the greatest. John Ash has a ring. Matt Brase is Lute’s grandson. So when Matt Korcheck agreed to play at Arizona, a little part of every kid to grow up in Tucson, was jealous. The Sabino High graduate has been to a Sweet Sixteen, Elite Eight, and maybe more. He’s been a part of two Pac-12 championships. 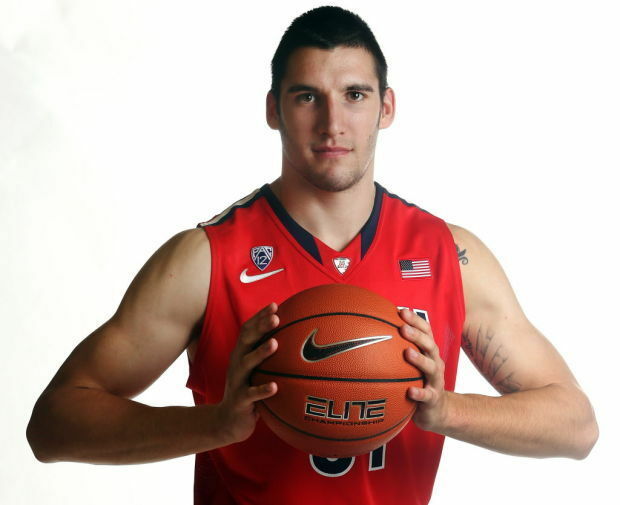 Matt Korcheck has cut nets as an Arizona Wildcat. And while I’ve never had the chance to ask him about it, I’d be shocked to learn that watching Jason Terry, Jason Gardner, Richard Jefferson, Salim Stoudemire, Luke Walton, and countless others wasn’t supremely influential in his basketball career (of note: Sabino was a powerhouse football program while Korcheck was in High School). Matt Korcheck has lived out every little Tucsonan’s dream. I’m happy for him. And a lot bit jealous.